I recently heard of GD32F103 processors made by Giga Devices an Chinese company which make STM32 ‘compatible’ microcontrollers targeting their popular STM32F103 series. Taobao sellers offer these starting from $1.25 up to $2.20 depend on the memory configuration. Looking at the publishing specs GD32 also looks better than STM32, the only problem is that it’s not possible to know for sure if what the Chinese manufacturers write in their datasheet is tested and is real. For instance they claim 108 Mhz operation for the chips, even some web blogs says they ran GD32F103 up to 120Mhz “without problem”, but these are amateur claims, probably made these tests at room temperature :), let me tell you secret original STM32 will also run at this frequency, but ST do not claim this in the datasheet as they have to guarantee the work in the whole operating temperature range and whole power supply range in the datasheets. So if Giga Devices offer something better in specs in quite questionable, sure for amateur not crytical use apps like blinking LEDs in house, this will be perfect chip, and it’s main advantage is the lower cost compared to STM32. I’ve even read speculations in the same web blog that Giga Devices “licensee” STM32 core from ST to produce lower cost versions for Chinese market. I was very doubtful something like this is true for number of reasons. To produce STM32 chip itself as hardware cost not so much, the reason ST sell it at this price is that they have spent lot of resource to design and market these chips, also they pay small royalty fee to ARM for every chip they sell. So obviously they can achieve the same sale prices as Giga Devices if they were in same situation – zero development cost and just copy and paste someone else’s product. It’s very doubtful if Giga Devices pay royalties to ARM also, but this is just my speculation ;). So as I expected these are illegal clones. This creates one bigger problem and damage on ST business though. For everyone is clear that purchasing of STM32 chip through normal USA or EU distribution channels is expensive if you want to make mass product. The EU distributors are too fat and lazy to offer you anything which will allow you to build competitive product if you have to compete with far east manufacturers. So we at Olimex are forced to buy from Chinese distributors all ST and NXP chips for instance to may achieve better price for our final products. I guess many others do the same. Now when there are clones of STM32 this becomes a problem as we will never know when we buy STM32 chips from China if these are original ST parts or Giga Devices clones which are re-marked as STM32 processors. In my opinion on long terms this will have enormous impact on ST brand as many people may buy counterfeit devices believing they buy original ST chips, but these chips will be just clones marked as STM32 and blame ST for all problems they encounter with these chips. This way the major ST advantage they had vs NXP LPC series will vanish as they were know to be sourcable at lower cost than NXP in China. I think the lawers would not help in this case. They may shut down Giga Devices legally, but illegally the cloned STM32 design can be produced at many places secretly and sold as STM32 original parts even after the GigaDevices closure! there is one possible solution, each time you buy a batch of stm32 to be used in manufacturing, decap one of them chosen at random, inspect it under the microscope and determine if it’s genuine or not. It might be worth it for large batches but there is no way of knowing if there aren’t any clones hidden within that batch. FT232, PL2303, STM32F… the list goes on. From what I understand, they are not 1:1 drop-in compatible, there are some differences around Flash timing and others, so they should be SW detectable, no need for decapping. Why would Giga Devices need a license from ST? 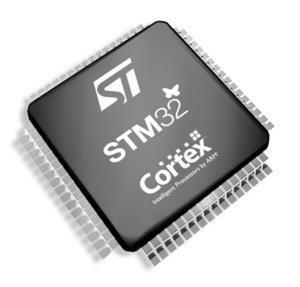 The STM32 is a ARM Cortex-M3 core with a bunch of common peripherals around it. I don’t know if ST developed these peripherals themself or licensed them. If the peripherals are third party IP, then there is absolutely nothing stopping Giga Devices from licensing the same IP (ARM Cortex-M3, and the peripherals) and then making an exact clone. If ST developed their own peripherals then they surely didn’t give the masks to Giga Devices so Giga Devices got their peripherals somewhere else. This is a problem with ARM Cores. ST doesn’t really own the STM32 since for sure the M3 core of it is licensed from ARM and ARM will sell anyone licenses. ST does own the copyright on STM32 and Giga Device can not call their device a STM32. But it is fair game to say STM32 compatible and let the buyer be the judge of how compatible it is. Patenting gpio assignment seems to be ridiculous to me. That’s pretty interesting. Do you have an example of patented GPIO layout? ARM, Inc is quite ruthless on cracking down on people manufacturing without an ARM license. AFAIK no one is making chips without a license. This license is in the pennies and it not a problem for Giga Devices to pay. The roaylties are pennies, the license is quite significant….. I do object to the use of “pure piracy” and “illegal clones”. With the evidence I see those are not valid claims. As long as they print GD32F103 on the chip and not STM32F103 they are in the clear. Plus they need to pay their IP licenses which there is no indication that they are not doing that. The problem assumption here is that Giga Devices needed to ask ST for permission to do this which they did not need to. There may be patents in play here, but so far no one has pointed at one that may have been violated. I fully agree with Jon here. Accusations of copycats needs to be substanciated. Furthermore, I don’t see what kind of IP right can be invoked to stop clones. There is topography of semiconductors, which protects the design of the circuit. Always Western people accuse Chinese companies of doing piracy, They can’t assume that those hard work Chinese can do better for less than the blue eye people, time is changed Chinese people are in a new phase, cheap labor and piracy still present but a lot of business on a modern, legal and high tech products is growing. Don’t underestimate. Dear all, I ran into this article, and found all the discussion very interesting. Giga device are STM32 clones. Actually, the issue is not to know whether they are fully ARM Cortex-M licensee (knowing that in China, patent infringement is a common practice, it would not be the first company to use an IP and not pay for it). The real issue for customers is “what are the benefits and drawbacks to use a GigaDevice product that is a STM32 copy rather than an original STM32?”. Bye the way, let me also add that a microcontroller is more than the core, the core representing only 5-10% of the complexity of such system. Let’s put first things first and start with a major step of your project which is product development. Shall you have chosen a STM32, you would benefit from all the STM32 support structure, tools such as the STM32 Cube, Libraries validated and used by hundreds of thousands of developers. How would a Gigadevice customer do for his first step? Whom to contact, which documentation, which ecosystem? We could also talk about quality, obsolescence management, roadmap, ecosystem..
What I have seen in the market for a given sales channel is that the price gap between a STM32 and a Gigadevice product is not so important. We are not talking about the gap between a Louis Vuitton Bag and a Made In China Bag, we are talking of a few % only. And let me tell you, for such a limited gap, I will purchase a STM32! I will tell you how it works. All EU distributors are public companies with lot of shareholders, the shareholders care not for the product these companies sell, but for the financial results at the end of the year. So they should squeeze maximal profit from their sales or they are dead – look how many different distributors merged and were boughts last years, basically what left in EU are 2-3 big distributors, some of them even share same warehouses. Volumes are not like in Asia and they try to charge triple prices to meet the shareholders expectations. Semiconductor vendors also are in this game, they try to return as fast as possible the money they put in the development, so they also try to see if they can sell at higher prices for certain markets. So when you go to EU distributor and ask how much this does cost? He most likely will not tell you the price, but first will ask you what is your end product and what is your target? i.e. to see what idea do you have about the pricing and if they could screw you up more if you do not know what is the market price of this component. In China there is huge market and huge competition, so these tricks do not work. Chinese traders are very pragmatic, once one of them get better price, he start selling to all others, this means if in EU distributors can screw up the small companies selling them STM32 for $10 and at the same time to sell the same chip to the big vendors for $2. In China once one distributor get $2 price he start selling to all other at $2.20 and no body buys at higher price. I don’t know how do you measure the difference in prices between ST and GD but what I see is: STM32F103C8T6 price $6.10 for 1 pce and $3.20 for 1000 pcs in EU/USA disti and GD32F103C8T6 for $1.25 in Taobao buy 1 or 1000 pcs, this is not few percent this is almost 5 times difference for small volumes. Well, I do not know where you buy from but I found STM32F103C8T6 @ 1.78 U$ online for 50 Units. But this is “grey” market (same as what you mention). So I am sure that for 1000 units, it is possible to find a price very close to the Giga Device one (again in the grey market which is under a trading influence). From my standpoint, there is not such a gap between STM32 and GD. Definitely not! Overall, what is very scary is that the vast majority of the delta cost comes from the channel and this is not acceptable. Distributors do not add such a value! I am always fighing this. STM32 is an excellent product,STM32F103C8T6 should not cost 6 U$, it is a pity you cannot source it at the value it should be. Please send me an e mail I would like to understand whether we could find a solution. this happen before with FTDI FT232RL, our local distributor had no stock, we found stock in China and we bought FT232RL from there, made devices and sold to customers, then FTDI found way to recognize if the chip is theirs or copy and fucked up their drivers to not work with the copies, so many people who used their chips in products were totally screwed. The result -> troubles to FTDI customers and sequential we do not use FTDI chips in any of our new designs. I expect something like this to happen now with people who buy STM32F103 from China. Well, STM32 is marked STM32 and , GD is not entitled to mark their product STM32. I know well the STM32 pricing and I can tell you, at the level of price you mention, you are entitled to get a genuine STM32, a quality product, for which ou will get the support you deserve. When Roger on the STM32Duino forum mentioned that it looks like STM and GD probably work together, with licensing or not, it is because we found this interesting document which reveal that it is not only the F103 involved, but many other MCU. GD seems to have a big roadmap. BTW, for the advantages/disavantages of the GD chips over STM, one of those is the zero waitstate speed and the sizes of the Flash offerings. GD is a major player in Flash since it debut. As far as I know, Russians also cloned STM32F103 to somethnig produced by “Milandr” company. Yet it told their ICs are full of bugs and their erratas are insane. I wonder if GD32 is the same in this regard. After all, STM32 is fairly complicated and early STM32s had quite a nasty erratas. And those clones are likely to be far worse in this regard. But whatever, if someone clones your IC, you can be proud of it: you’ve did a really great IC which is worth of it, in first place. And STM32 have clearly reshaped microcontroller’s world, making 8- and 16-bit devices mostly obsolete. And as for asking yourself… well, one have to learn to work with reliable suppliers who are not going to supply fakes and ok about facing quality claims, etc. It is a mistake to suggest (as some replies in this thread may have done) that GD devices are buggy or less performant than ST’s without actual evidence to back it. Just because some company in China did a poor job one day is not a valid reason to conclude that GD’s devices are also bad. Nor is it correct to think that ST devices are free of faults, as the errata pages can confirm. Some NIH protectionism may be creeping in. China’s expertise in semiconductor fabrication has expanded and improved immensely over the last decade or two, while ours in the west has been shrinking almost to the point of disappearing altogether. Virtually all of our ICs are produced in the far east now, and we’re deluding ourselves if we think that design and fabrication expertise in the west has not declined as a result. Fabrication is physical engineering, and this always requires direct experience which paper or design tools do not provide. So instead of immediately condemning GD without trial, I suggest trying out SoCs like GD32F103 and checking if they do the job described on their datasheet and work reliably over their specified operating range. If they do work properly then in most cases it doesn’t matter if GD’s “near clones” are not 100% the same as the ST devices that they’re modelled after. Indeed, they might even be better — ST doesn’t have a monopoly on good design. Correct device markings are of course essential. Counterfeit device markings are completely unacceptable in all cases, but without evidence that this is happening with GD dies, that’s entirely an unsubstantiated aspersion against a rising brand. Sticking to known facts is better. GD could turn out as useful a manufacturer as Allwinner. Remember that at one time, nobody had heard of Allwinner either, and they were widely viewed with suspicion. Yet, it turned out quite well in the end. Apple Iwatch is powered by a STM32L according to this teardown. It goes on ever and ever. I have never seen a teardown on a major product with a STM32 clone. Why is that? I do believe that clones are not so inexpensive and secondly we are certainly not talking about the same quality level. Morgaine, it is not a mistake. When you’re getting not so bad in doing something and got some experience, you can easily foretold or estimate some things. Take a look on STM32 errata history. Even such a bold company like ST Micro had trouble to get it right without doing some bugs. And chinese manufacturers were never great at developing things, they prefer just copying. At most they are able to license IP cores and try to glue these together. IP blocks designed in place by chinese companies itself are usually not the best things ever. And so, idea that some poorly known company can easily beat STMicro and do the same chip with fewer bugs at first try… it is not impossible, sure. But highly unlikely. As for free of faults, at least STM honestly publishes their erratas. And most china manufacturers have major trouble to write even datasheet/user manual part, so I wouldn’t expect much better competence at erratas either. If you doubt… uhm, i guess you notice I’m having fun with some allwinner parts. And whatever, but their PDFs are my least favorite thing about allwinner. They have good peripherals, nice price, etc. But their documentation suxx! And virtually every chinese manufacturer I’ve seen has been like this. Allwinner isn’t even worst at it. Yet, their documentation is a crap and not anyhow close to, say, STM or any other EU/US/etc manufacturer. …and somehow, unless STM would do something terminally wrong in terms of pricing I’m not really in mood to deal with chinese clones. At least because if I face some trouble, there is high chance there will be no reply, no documentation, no adequate dev community. It can easily turn to dead end. But feel free to give it a try and report results, etc. It could be interesting. But my own estimation is like this: I would expect some bugs/unexpected troubles, and STM32 isn’t exactly beginner-friendly even on its own, even in assumption it is completely bug free. And it could be frustrating if you can’t get it working right without even understanding if it was your code or IC itself. Even for STM32 you can actually hit some but which isn’t even listed in errata. And chance it would happen in clone is obviously higher. So Farnell is overpricing the F446 then, by how much for lets say 100 units? (v) major products tend to come from major manufacturers, so it’s no surprise that products from smaller companies which use alternative sources don’t attract teardowns because they wouldn’t attract eyeballs to the teardown site, which is all about advertising. All the above conspires against the small manufacturer getting noticed for good or for bad. And absence of information does not imply anything bad at all. That would be flawed logic. Morgaine, STM32 earned their reputation across engineers by hard way – by ST trying to outperform competitors while avoiding major bugs and offering good set of features at right price, attracting devs, offering reasonable product line and so on. And they keeped doing so for years. Sure, engineers gained some trust and expect STM32 can do what it promises, with relatively little surprises. And since GD haven’t proven itself like STMicro, I would be careful about them. LinuxUser: Oh I know how good ST is — I have many more ST-based microcontroller boards here than of any other brand, and I like them a lot. What I am saying though is, don’t let ST’s very good standing get in the way of allowing other manufacturers gain a foot in the door. Remember that we’re engineers, not rabid product fanbois, and so we assess products based on specs and observed performance, *NOT* on brand. Working with a known quality supplier provides the very valuable advantage of minimizing risk, but that benefit doesn’t come free, and you certainly pay for the privilege of using their chips — ST knows very well that they can charge more because of their good reputation. The question is, can a new rising star offer reliability and similar or better specs as well, at a lower price? That’s a question that as objective engineers we must always leave open, even if it’s only to get ST to lower its quotes because of the new (shock horror!) competition. But it may be more than just that. The far East is a hotbed of electronics and IC fabrication and it is exploding, whereas our manufacturing capability is in decline. Betting on some upstart over there becoming a major world force is a pretty sure thing. The process didn’t end with Samsung. Reverse engineering a competitor’s product is not illegal per se, only if it impinges on copyright, patents, or trademarks. I haven’t seen any evidence that GigaDevices silicon is illegal. Clearly, copying software and removing headers is illegal. If GigaDevices have done that, they should be shunned. However, they probably don’t care much and nor do their customers. Often I found hardware bought from China comes with a CD of cracked software and illegal license keys, software copyright appears to be largely ignored. Regardless, everyone still chooses to buy from China because they are cheap. A positive view on this – we are going to have a second source for those chips. This is quite rare in the embedded uC world. I know about only one exception – Freescale/STM PowerPC (SPC) microcontrollers. In my opinion ST should revise pricing of its products to prevent cloning. New STM32 MCUs are more expensive compared to NXP’s competitors (e.g. STM32F429BGT vs. LPC4357FBD). LMAO … I think that someone needs to do better research before going through the whole “they stole ST’s design” … LOL. FACT: the bulk of the STM32 F0, F1, F2, F4, F7 series chips are ARM designs. That means that ST and about 33+ other manufactures license this design from ARM and then manufacture the design. ARM manufactures no chips. So what you have is GD being the latest manufacture to license the designs. So there is no surprise that the design and layout and capacity is similar to ST’s chips — because it is in the ARM design! As I know, the Gigadevice is compatible with ST MCUs at functional level and registers definition. The cortex-M3 was licensed from ARM company. Nor flash is made by China local factory. The flash access speed is faster than ST products. All peripherals are designed by themselves. This is the facts what we should use for discussion. GD32 are not copies of STM32. They are not even clones. They are STM32 ‘compatible’ devices. But compatibility may not be 100% since there are differences. Already mentioned is that the GD32 has faster flash speed. I also found that the GD32 devices were more expensive than STM32. I found the F103 STM32 devices for around $1 and the GD equivalent was about 20% more.